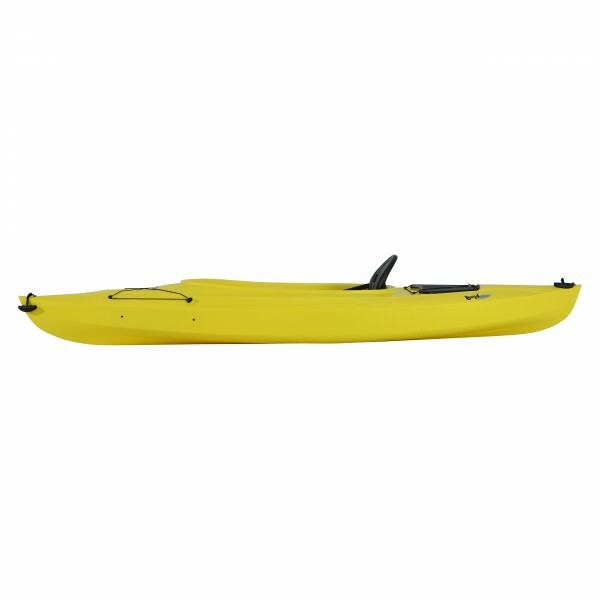 Lifetime Boyd Sit-Inside Kayak - The 9' 8" adult kayak has a 250 lb. weight capacity and comes in yellow. 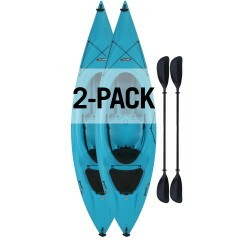 This model is a "sit inside" kayak and comes with a seat back, front and rear shock cords, footrests and a cargo hold with cover. 5-year limited warranty. 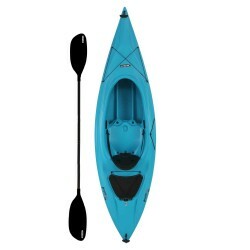 The 9' 8" adult kayak has a 250 lb. 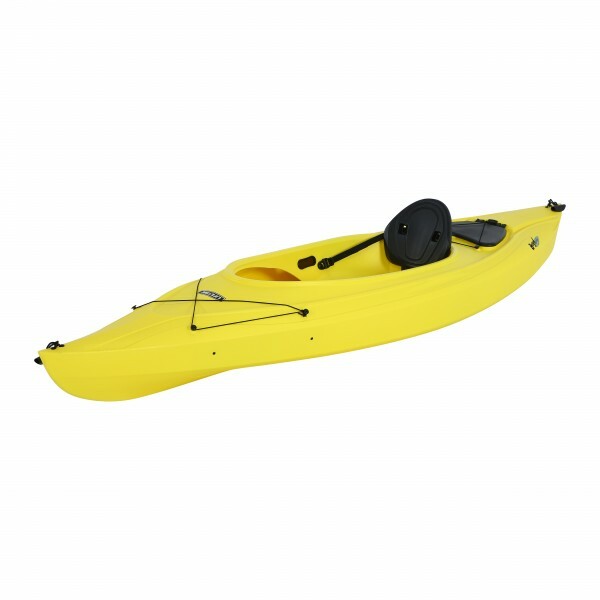 weight capacity and comes in yellow. This model is a "sit inside" kayak and comes with a seat back, front and rear shock cords, footrests and a cargo hold with cover. 5-year limited warranty. 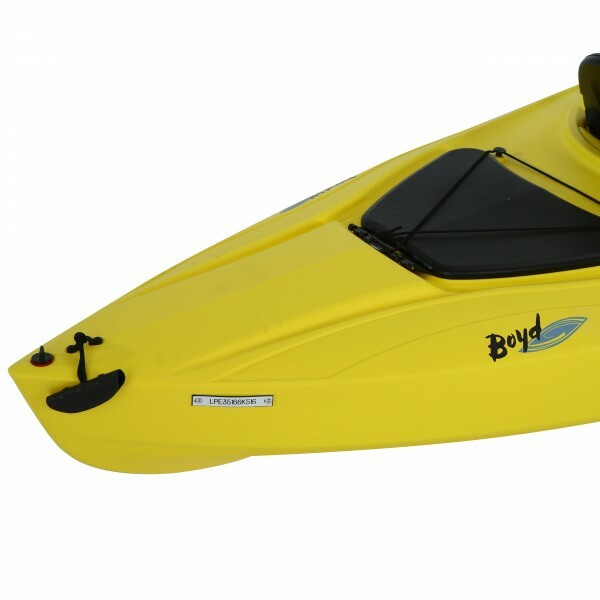 The Nomad is a lightweight, durable inflatable kayak that is perfect for enjoying lakes, rivers or streams. Its removable, heavy-duty fabric seat creates a secure comfortable ride even in the roughest of waters. 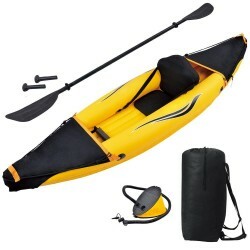 The Nomad is a lightweight, durable inflatable kayak that is perfect for enjoying lakes, rivers or streams. Its removable heavy duty fabric seats create a secure comfortable ride even in the roughest of waters. 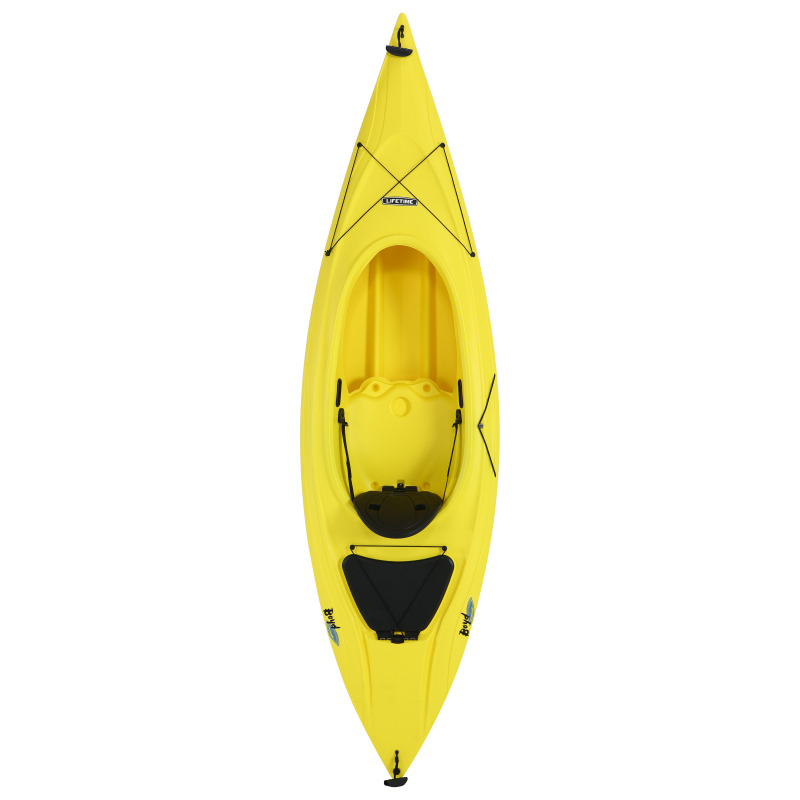 The Lifetime Payette 116 Kayak is a 116 inch sit-inside kayak constructed of high-density polyethylene for durability and light weight. Designed with convenient features such as a covered storage compartment, and comfortable seat back. 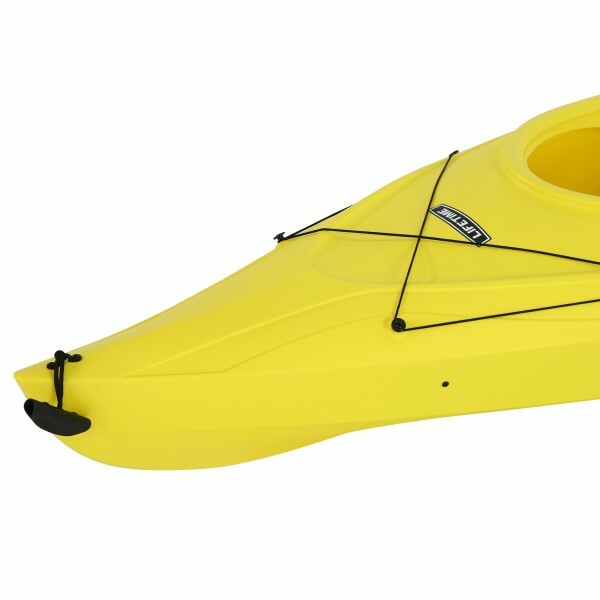 This fishing kayak has a 250 lb. weight capacity. 2-Pack. *Paddles not included. 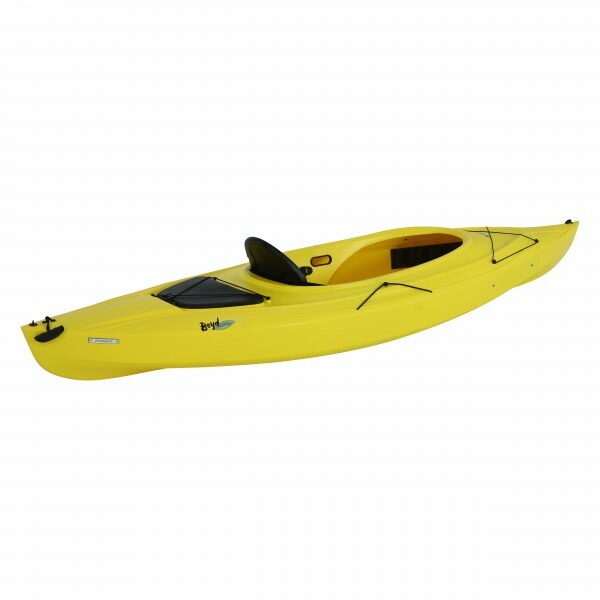 The Lifetime Payette™ 116 Angler Kayak is a 116 inch sit-inside kayak constructed of high-density polyethylene for durability and light weight. Designed with convenient features for the angler such as 3 fishing rod holders, covered storage compartment, and comfortable seat back. This fishing kayak has a 250 lb. weight capacity. The 116" adult kayak has a 250 lb. 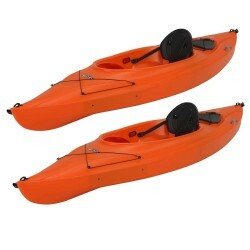 weight capacity and comes in orange. 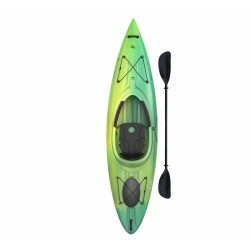 This model is a "sit-inside" (SI) kayak and comes with a seat back, front and rear shock cords, footrests and a cargo hold with cover, a paddle cradle with shock cord and front and rear T-handles. 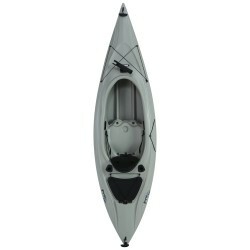 The Lifetime Payette™ 116 Kayak is a sit-inside kayak that has a large cockpit and a comfortable backrest for your long paddling adventures. Designed for extreme safety and stability, the Payette™ has a stable flat bottom with deep tracking channels and stability chine rails. The 10 ft. 3 in. 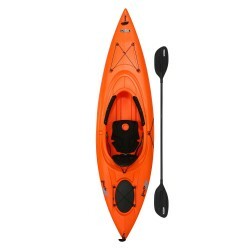 sit inside kayak comes with a rear storage hatch, adjustable foot braces, padded thigh pads, molded-in seat, comfort seat system, bungee straps, 2 carry handles, paddle keeper, and an easy roll skeg wheel. Paddle included (1066285). Comes in lemongrass.FREE Fast Shipping! 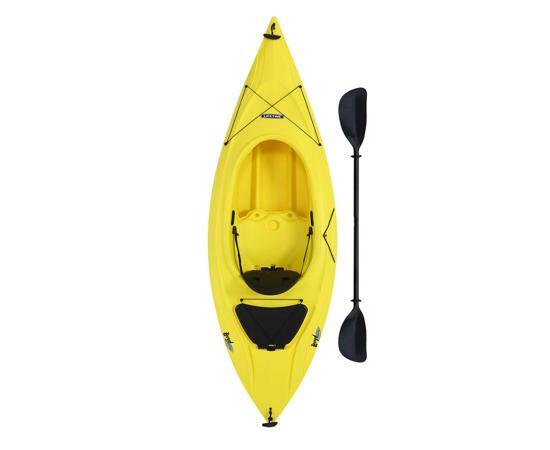 Lifetime Lancer Kayak -is a sit-inside kayak with a molded-in seat and ST performance hull, fixed footrests, adjustable padded seat, bungee, a ledge lock paddle keeper, and foam flotation. FREE Fast Shipping! 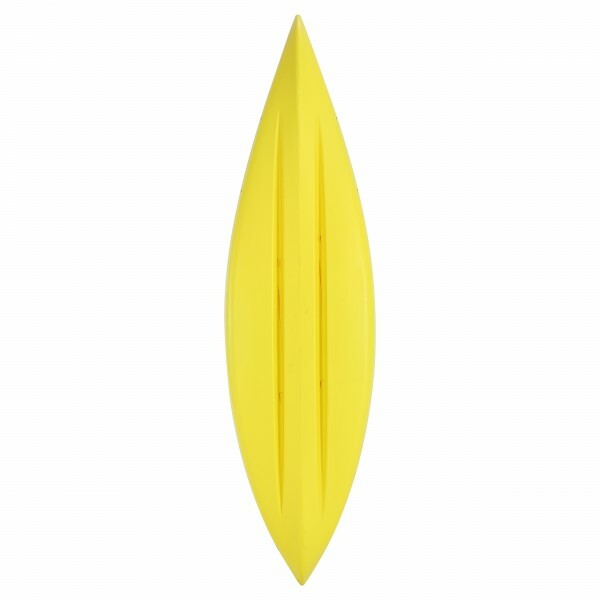 Emotion Tide Kayak 10 ft. 3 in. 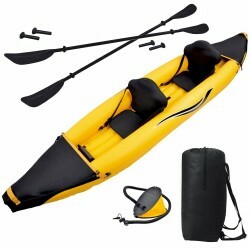 sit inside kayak is made for supreme safety and strength for your paddling adventures! It comes with a rear storage hatch, adjustable foot braces, padded thigh pads, molded-in seat, comfort seat system, bungee straps, 2 carry handles, paddle keeper, and an easy roll skeg wheel. 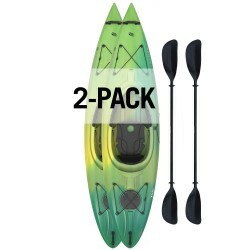 Paddle included!FREE Fast Shipping! 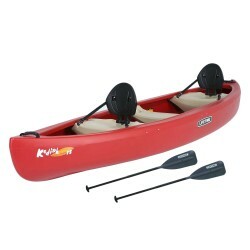 The Lifetime 13 ft Kodiak Canoe is perfect family Kayak! The Kodiak includes two comfortable adjustable and removable seatbacks for the bow and stern seats while the center bench seat is suitable for accommodating a third paddler.FREE Fast Shipping!